neighborhoods are limited in quantity and are the treasure of most major cities. history and add to the charm and value of any neighborhood. children. Even though not all buyers are drawn to a piece of history, many are. history lovers, collect antiques, love architecture or are preservation-minded. future buyer of your delightful, unique older home. 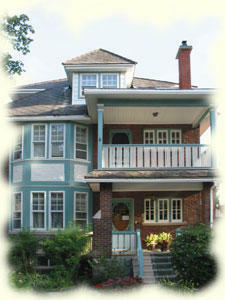 Emphasize the historical value and location of the home. Advertise in publications like This Old House and Country Living Magazine. Familiarize yourself with regulations related to historic preservation. Hold a special open house in cooperation with the area Historical Society. Society newsletter invite them to your Open House. the driveway, approaching my one of a kind piece of Americana. This entry was posted on Wednesday, August 17th, 2005 at 12:00 am	and is filed under Uncategorized. You can follow any responses to this entry through the RSS 2.0 feed. Responses are currently closed, but you can trackback from your own site.